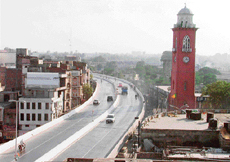 They remember the elevated road when they are in opposition in the Municipal Corporation. For these leaders, non-linking of Rs 55 crore project is the best issue to be raised against the ruling party. It was on March 26, 2003, that the residents of this village, near Gurdwara Manji Sahib, woke up to a gory sight. A youth was found hanged from a goal post in a football ground in this village. A bridal dupatta was used as a rope to hang him. The body bore grievous injuries on private parts. The picture of the body still sends shivers down their spine. 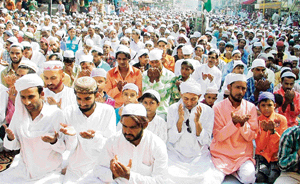 The state government finally conceded the long pending demand of about five lakh Muslims in Ludhiana to have an Idgah today. Bikram Singh Majithia, minister for information and public relations, water supply and sanitation Punjab while addressing the Id celebrations here today, announced this. Disciplinarian district education officer Sudesh Bajaj has invited the ire of unionists for issuing warnings and asking the teachers to perform or face consequences. The law does not allow writing anything else than the vehicle number on the registration plate. But, a large number of Ludhianvis are using this space only to flaunt their identity. The moment any person becomes an office-bearer or even a member of an organisation, the new status would speak loudly from the plates. Few months ago, the police had cracked down on such persons who aimed to get some special status on roads or to have right of way on others. The drive seems to have been forgotten now. With the change in the demographic structure, Ludhiana is witnessing rapid change in the crime pattern. The police is finding it difficult to cope with the changing crime scenario in the absence of adequate police personnel. The changing crime pattern is also causing panic among the residents. The District Consumer Disputes Redressal Forum has quashed the demand of Rs 7,215 by the Punjab State Electricity from a consumer on the charges of theft of electricity. Rajni, a 34-year-old city resident, with two kids aged 7 and 4 years, is fighting a battle against life-threatening condition in Christian Medical College and Hospital (CMCH) here. Whether or not she will live long depends on the help given by kind, generous and compassionate donors. 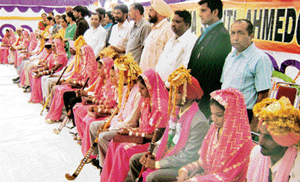 A function was organised under the aegis of the Samay Sewa Society at the Ram Talai Chhapar near here where 15 couples from various walks of life tied the nuptial knots.Mukesh Sharma, Executive Magistrate, Ludhiana, was the chief guest. The influences, which one imbibes during the adolescent age, seldom lose their impact on the mind. This is what happened in the case of Mitter Sain Meet (Goyal) who is now an acclaimed novelist. Born and brought up in Barnala, he received higher education in S.D. College, Barnala. During the period from 1968 to 1972, he was drawn to the movement that aimed at amelioration of the downtrodden. In 1971, he wrote his first novel, “Agg de Beej” (The Seeds of Fire), wherein he highlighted the conflict between a landowner and the landless labour. The novel touched the minds of the young Punjabi readers as it revolved around a significant situation in villages. At least 14 persons have been booked and Rs 1.30 lakh recovered in three gambling cases registered here today. The Division No.3 police booked three persons Tarsem Lal, Sham Lal and Aman Kumar for gambling near the Khawaja Chowk yesterday. About Rs 4,940 has been seized from the accused. Later, they were released on bail. The plight of the women seems to be same everywhere, at least in different countries of the subcontinent. The artists from Pakistan led by ace theatrist Rukhsana Khan staged a play "Assi Saayian Naina Waliyan" at the Guru Nanak Bhawan here yesterday night. 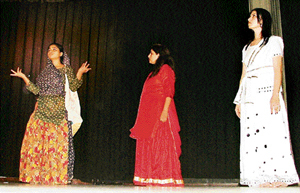 The play was organised by the Baba Farid Foundation International. The Global Punjab Foundation apprehending humiliation of Punjabi folk artistes on international level, allegedly due to exploitation of foreign cultural tours for meager economic gains, has called upon intellectuals and office-bearers of social and cultural organizations to educate youth about consequences of going abroad through illegal means. The campaign against drug abuse got momentum, when ace actor Mangal Dhillon, got his film “Sarvnash” screened at Narangwal village and here yesterday. The movie got much response in rural and urban areas. “The fight against drug abuse will get more acceleration in coming times and the film will be shown in a large number of villages and educational institutions in Punjab to create awareness among the youth to fight drugs " Mangal Dhillon said. Claiming that with the right line of treatment at a proper time, homoeopathy had the potential to give positive results in all kinds of serious ailments, including cancer and AIDS, Dr Nirmal Singh Hunjhan called upon the sensitive groups to get them examined occasionally so that the fatal disorders were diagnosed at a manageable stage. Rapid technological advancements and quality assurance in the field of laboratory medicine is the key to providing reliable results to the clinicians and patients, remarked Dr Hitish Narang, consultant in transfusion medicine. He was speaking at a continuous medical education (CME) programme on laboratory medicine, organised at Hotel Park Plaza here last night. 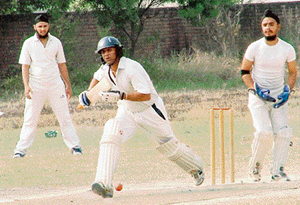 Deepak hammered 103 runs that helped Unique Abhi Cricket Centre to register a huge win over Kanwal Club by 116 runs and secured a berth in the quarter-final of the second Ludhiana District Twenty20 Cricket Tournament being played at the Government Institute of Textile and Knitting, Rishi Nagar, here today.